I had a busy enough evening yesterday attending events so I wanted to wear something comfortable, and not too overdressed. The weather is up and down at the moment, so I hadn't a clue what to wear! You've probably heard me mention Cotton Face Vintage a few times on my blog recently, but I just love that store! I popped into their store in Spiddal, Galway whilst holidaying there a while ago, so when I won a €50 for their store I was delighted. 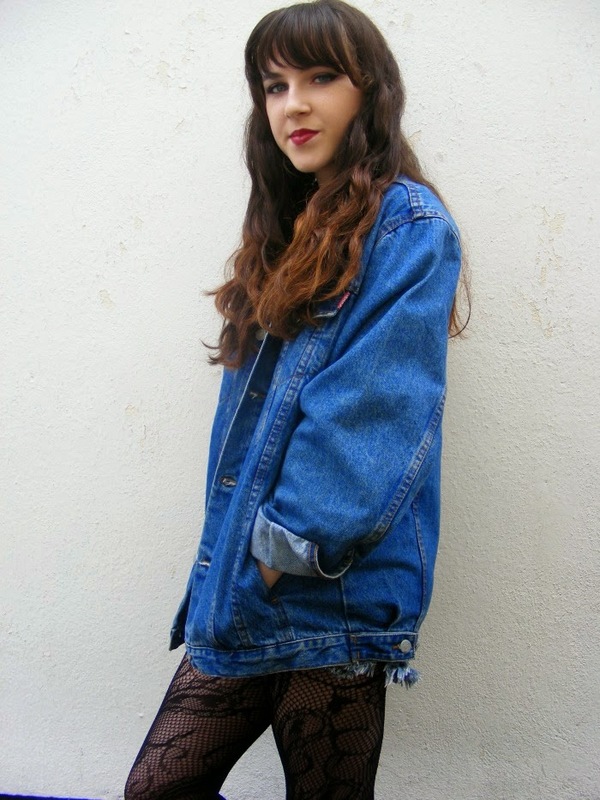 I chose this oversized vintage Levi's jacket, something I'd been lusting after for a while. My dad now has his eye on it because it reminds him of one he used to own! 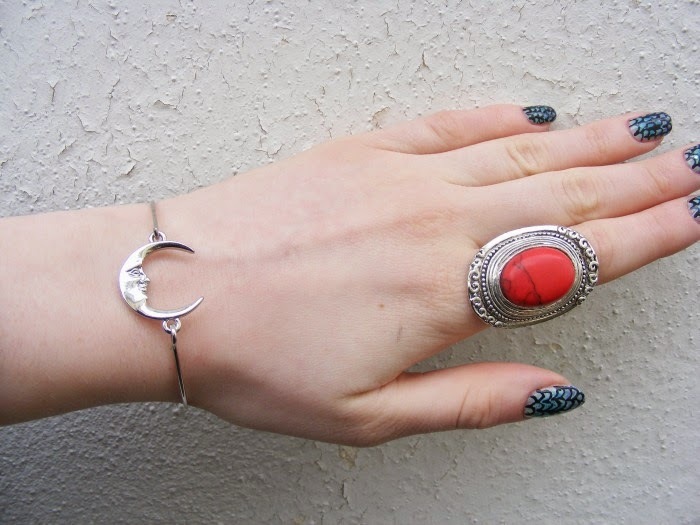 I paired this with some patterned tights from Penneys, and my new Schuh shoes*. I've received so many compliments on them since I got them last week, and I'm not a fan of flat shoes anyways so they're perfect for me! 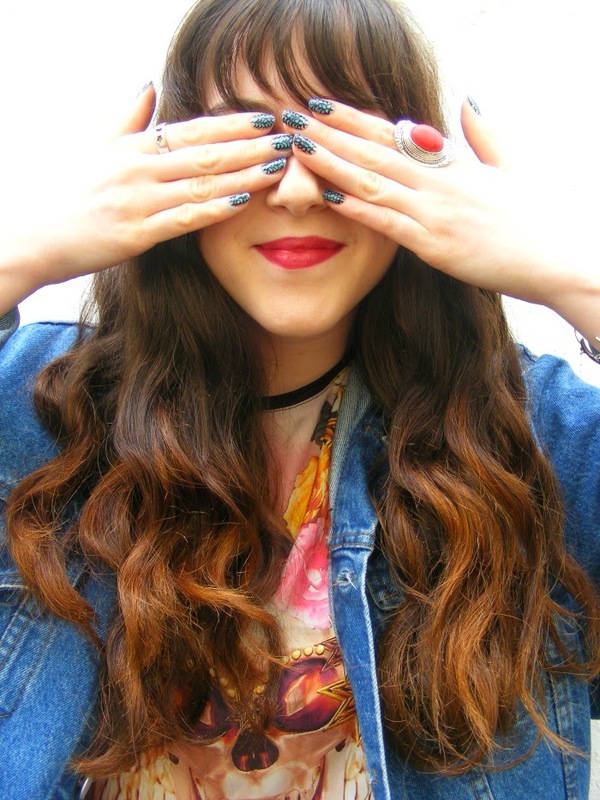 A quick note on my hair- I bought an ombré kit and it failed. A bit. The ends of my hair are now slightly copper, like the failed attempt last year too. I'm going to stick with it for a while as it's growing on me, but I may go back brown any day now. Printed trousers seem to be every where later, and I'm loving them! I have yet to pick up a pair, but whilst having a browse in the shops today there were a few that caught my eye. I love how a lot of high-street stores have some very affordable yet very stylist takes on the printed trouser trend. Not only are these kind of trousers extremely comfortable, but they can also be worn during the day and during the night. River Island in particular have a huge selection of printed trousers, in a wide variety of colours. 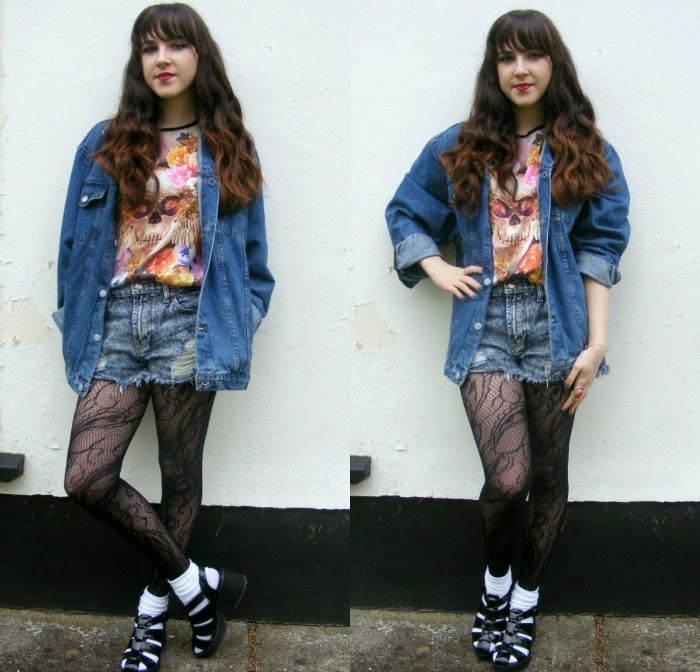 I spotted the blue floral ones on blogger So Sue Me and I love them! The cropped multicoloured joggers would also look amazing with a simple tee and heels. The New Look trousers also tie in with the tropical trend that's still going strong this season, and I like how they're not tapered at the end like the others. Boohoo's ikat print trousers look insanely comfortable- I could imagine myself wearing them with everything, particularly since they're black and white! 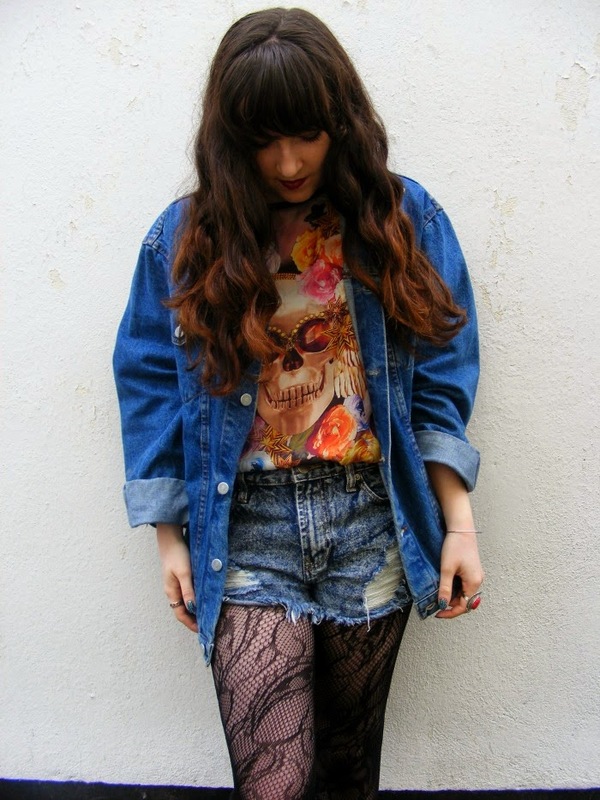 Lastly, I included a pair of the famous Topshop Joni jeans, as I know not everyone is into lose fitting trousers. These skinnies are super cute and very eye catching. Are you a fan of printed trousers? Will you be wearing them this Summer? Summer has begun [although in this weather, you mightn't have noticed it..] and it's the time of year when I like to have a bit of extra sparkle in my step, and on my face! I love a good matte face in all honesty, but most days I got for a dewy look. I've been using a combination of products recently to try get that coveted Summer 'glow'. Having typical Irish pale skin, I either; a) get really burnt even with SPF50 on b) come out in a heat rash or c) don't change colour at all! I find it quite hard to get gleaming look, but these products have definitely made a change to my makeup routine. Physicians Formula BB powder; You might remember that not so long ago, I headed to the Physicians Formula Irish launch [read about it here!] and this powder has really stood out for me. I'd never tried a BB powder prior to this- heck, I'd never even heard of one! It's like a highlighter-cross-powder- you can use it to set your makeup whilst also adding a bit of shimmer, or use it as a highlighter. I love the compartment underneath with the brush and mirror, perfect for travelling! Do you use any of these products to get that Summer glow? I truly apologise for the lack of posting over the past 5 days, but wow it's been hectic! 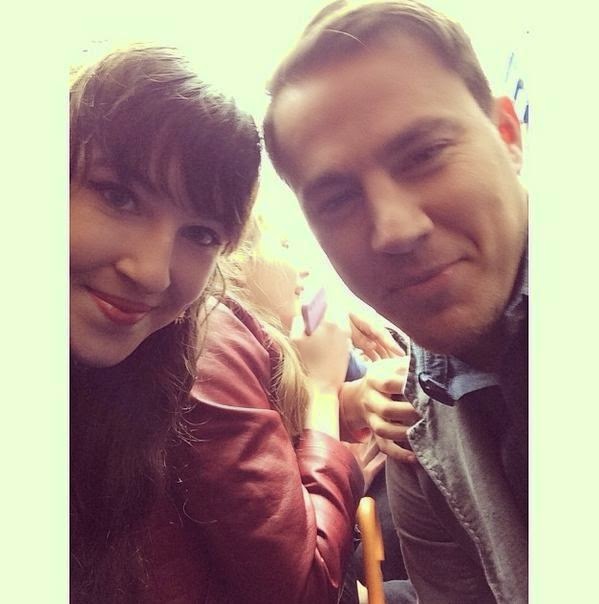 I had exams last Wednesday and Thursday, then on Friday I went into Dublin to try meet Channing Tatum- which I did! I still can't believe he stopped to take a picture, I just stood there smiling the whole time, in shock! Jonah Hill didn't come near us unfortunately, but it was still worth the 2 and a half hour wait in the rain. 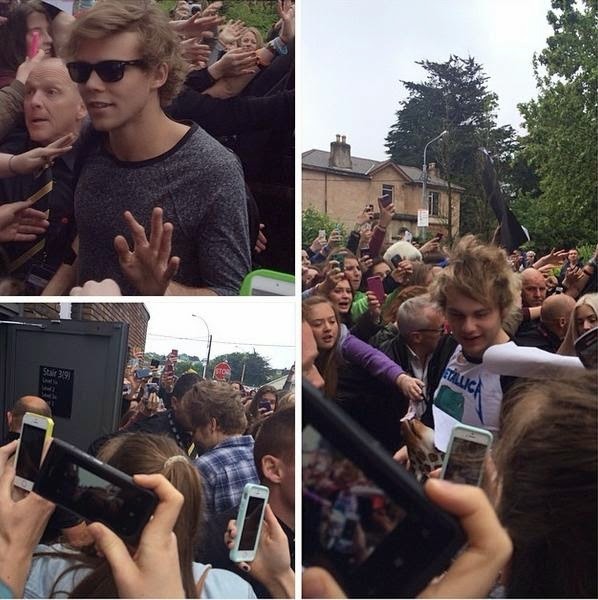 Then today I went 'celebrity hunting' AGAIN- this time for 5 Seconds Of Summer. They has a signing in Dundrum shopping centre today, but I didn't have tickets, so myself and tonnes of other fans waited around the backdoor for them. I got a quick glimpse of them before they went in! They didn't come back out after, even though we waited 3 hours. Sigh. This outfit seemed like an alright choice that morning but I completely regret wearing it in the rain now, it's easy to say it wasn't the warmest! Also, how fab are my new Mello Jello shoes* from Schuh? They arrived the other day and I'm in love! 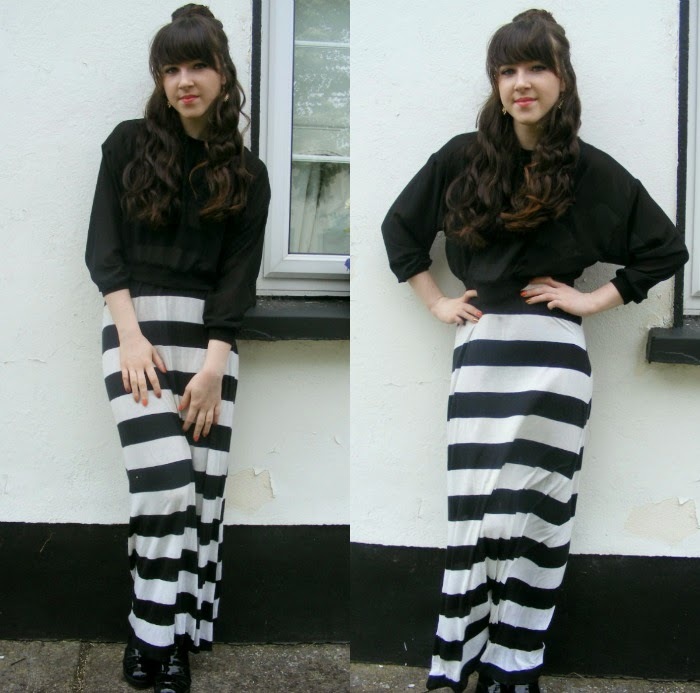 Maxi dress- thrifted Sheer blouse- Bershka Shoes- Schuh* Tights & socks- Penneys/Primark Earrings- Cotton Face vintage [won!] And my celebrity encounters.. 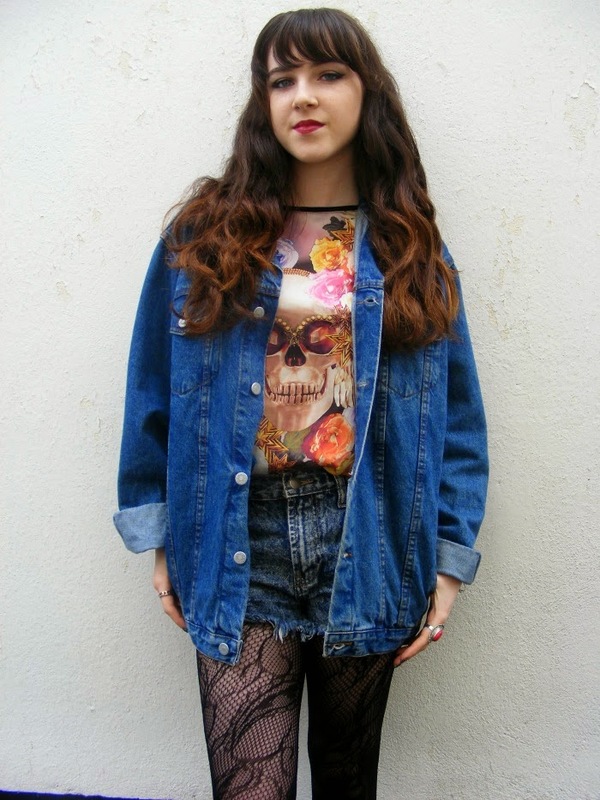 It's been a while since my last chatty post which went down a treat with readers [being a teen blogger in 2014; read here!] so I figured it was time to create another one. I'm not going to lie- being a 'blogger' is extremely fun, but it is hard work. I often see things on twitter undermining the power of bloggers, so I thought I'd address the subject here! 1. We get sent things for 'free'; Often when I write about things I get sent to try out, there are a few comment like "how do you get free things?" Sure, before I started blogging myself, I wondered the same thing! Now that I actually have a blog, I've learnt that it's not precisely free. Yes, we don't have to pay physical money for certain items, but we put hard work into testing the product, writing a review, taking photos and editing them. It works both ways been bloggers and PR companies. 2. We're all over 18; Ok, so this sort of links in with my last discussion post, but there sometimes seems to be a presumption that we're all adults. However times are moving on, and I follow hundreds of teenage bloggers! It can be quite frustrating when events are over 18s only, or even blog awards. 3. We fit into one category; Speaking of blog awards, I've recently noticed that categories usually go along the line of "best fashion blogger" or "best beauty blogger". What about those who post about fashion AND beauty? [cough, me!]. More and more bloggers nowadays are combining the two, or introducing travel, food or book related posts into their blog. It would be nice if categories were a bit more open. I enjoy posting about fashion equally as much as I do beauty! 4. We're wannabe models; This one is more for the fashion bloggers out there, but every now and then I get asked if I "model or something." I suppose I should take it as a compliment, but I don't post outfit photos to share my body, I post outfits to share my STYLE. In a way we are modelling the clothes, but styling is something I love, not modelling. 5. We're all rich; Just because I write reviews and feature clothes doesn't mean I have a lot of money to buy them all the time. You might notice that I re-wear a lot of my clothes in my OOTD's, but hey, I'm a student! I also rarely buy high end products, because I'm a firm believer that things should appeal to the every day person. It doesn't matter if the products you use are expensive or not! 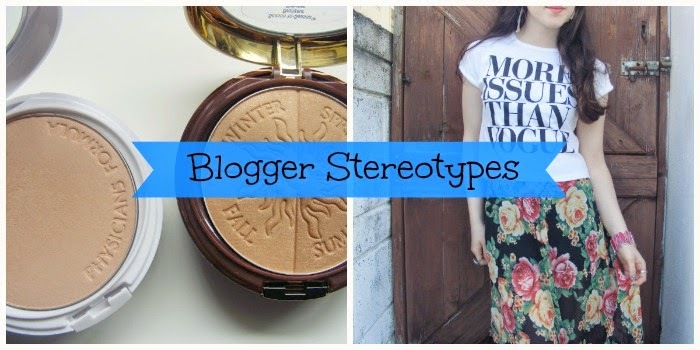 What do you think about blogger stereotypes? Are you a blogger yourself, and have experience these? Or perhaps you're a reader that's been guilty to these thoughts in the past? 1 Kimono, 2 Ways- From Day To Night!